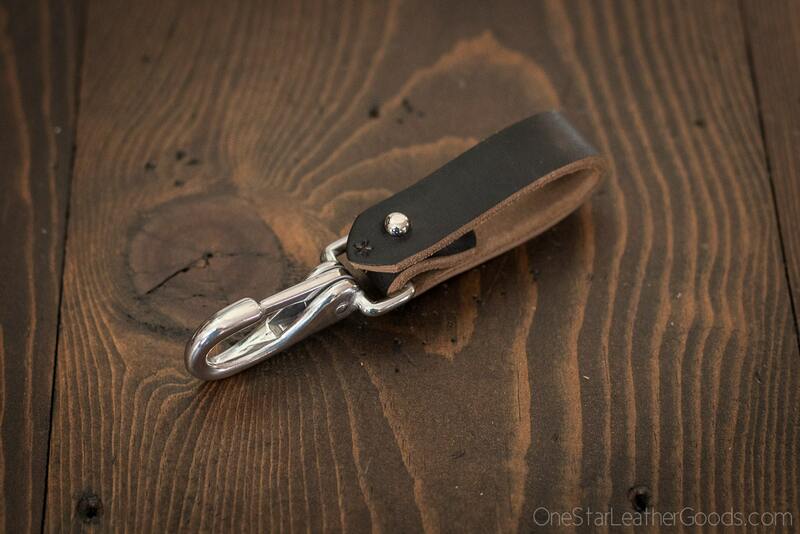 A simple belt lanyard to hold your keys in Horween Chromexcel leather. 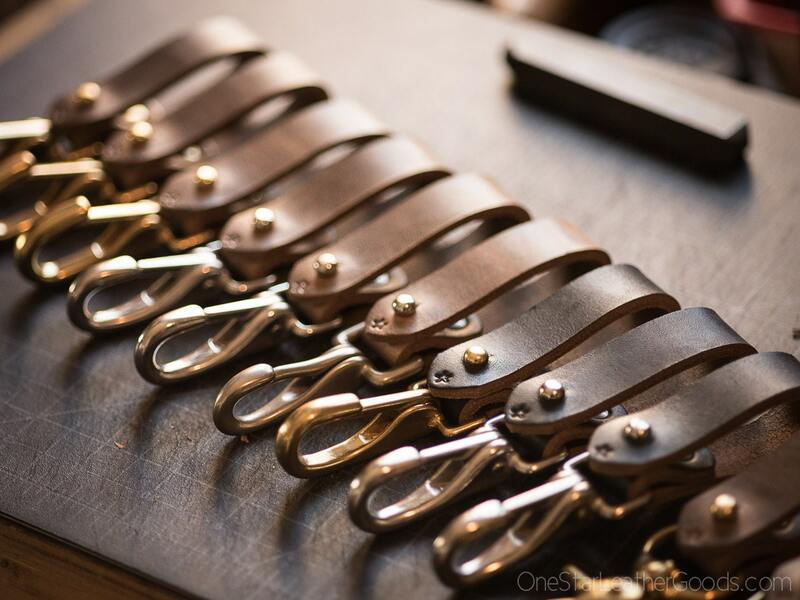 Fits belts up to 1.75" in width. 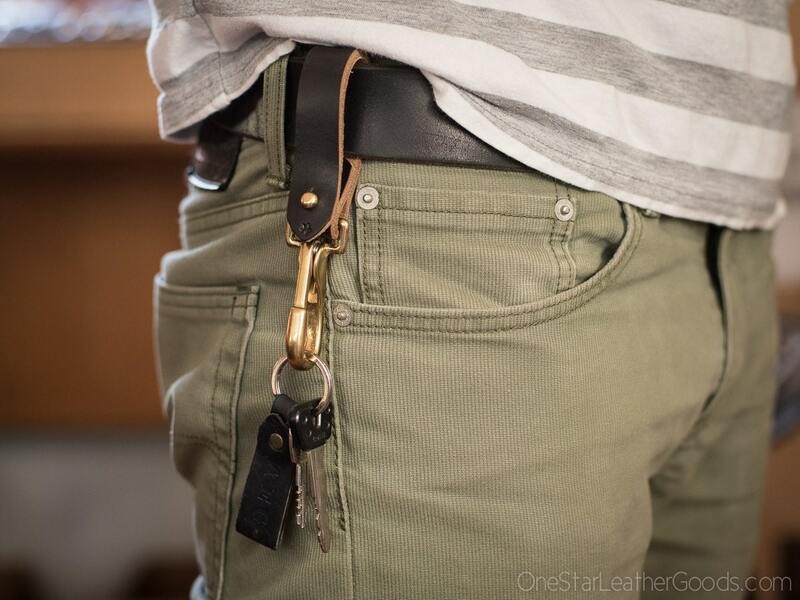 The advantage of a J-hook over a swivel trigger snap is that the J-hook allows key rings to clip in and out of them easily using just one hand. See my other listings for other styles--the first photo is what you will receive.